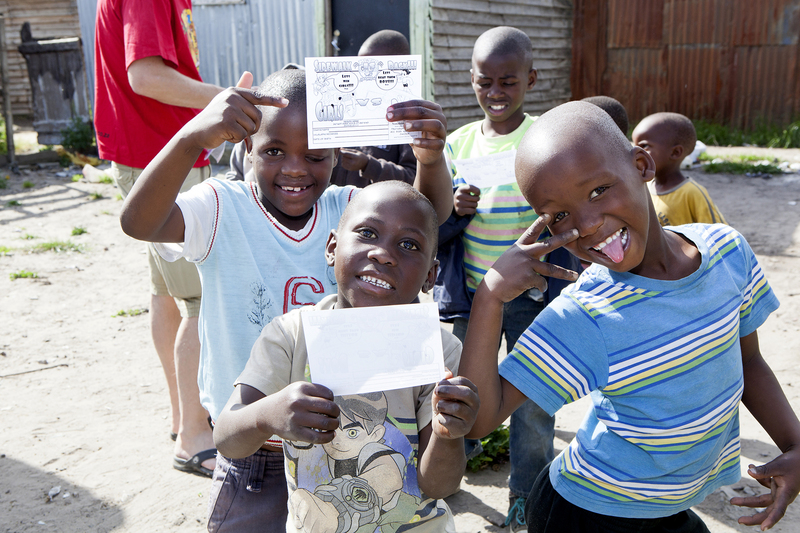 The child sponsorship or “child penpal”s programme, as we like it to be known, is a vital part of Metro Kids. We use the word “penpal programme” as the word “sponsorship” means to many people a programme that will pay for everything and anything your child needs. This programme does not do that but instead provides Metro Kids with much-needed funding to carry out the many life-changing programmes it operates. The monthly donation from the sponsor is received to benefit the hundreds of children attending programmes. The children chosen to be part of the penpal programme are children that are consistent, faithful attendees of Sidewalk. These children are rewarded for their commitment, whilst at the same time, all the children at Metro Kids programmes receive the benefits from the generosity of donors – thus preventing the jealousy that can be so widespread in communities like these. When a person becomes a penpal to a child, he or she, receives a child profile with clear guidelines on how to proceed. Letters, cards, small gifts for birthdays and Christmas are encouraged. The sponsor is invited to become a part of the child’s life, encouraging them, believing in them, showing them someone cares about them, listening to them and taking an interest in how their life is going. Sponsors are welcome to be more involved in a child’s life, and some people give even more than the monthly requested donation in order for their penpal child to have monthly food parcels. Sponsors are always welcome to visit, and children have had many special days when their sponsors visit from the other side of the world and spend time with them. You can become a part of this penpal programme for only CHF 25, $25 or £25 a month by contacting Janet@metrokidsafrica.org.